There are real gems in Quezon City, and you don't really have to go out to get some of it. We visited the Banawe district and found Tra Vinh Authentic Vietnamese Restaurant along NS Amoranto in the same city. Now we do like Vietnamese cuisine, but have seen how bastardized it has become (pardon the word) with some restaurants trying to mimic legitimate dishes - and come out just half short of what it's supposed to be like. For me, any attempt to half heartedly prepare something that you would call authentic should be taboo because that word is exact. Tra Vinh presents itself quite simple. The restaurant that Mr. Van Chien Ho put up in Western Australia was made to remind him of his home country Vietnam. 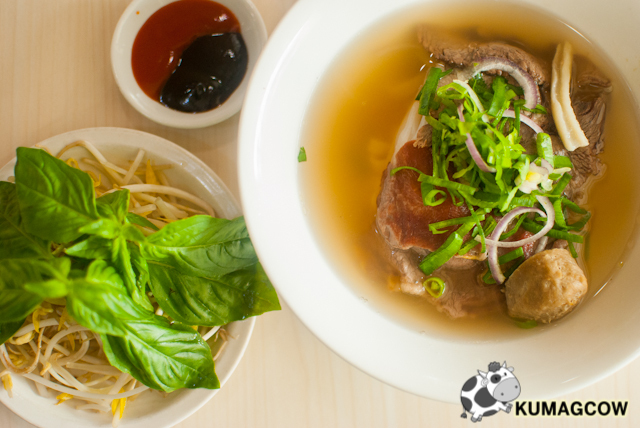 They've been able to do authentic Vietnamese cuisine and it has been loved down under for over 20 years. Now what's great news is that they're here in the Philippines and have been loved by the local community as well. We knew we were in for a great meal. So if you're planning to go here, you better be ready for food coma because that's what I got after this. 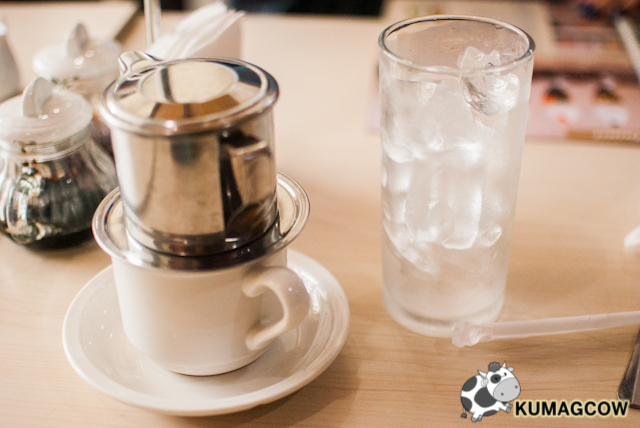 First off, we're going to have Vietnamese Coffee! 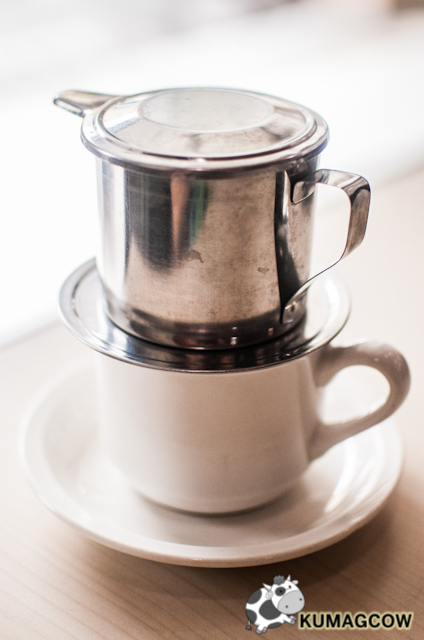 I love coffee in general, but their Vietnamese Coffee was a whole other story. They have this in three different intensities. I chose something in the middle, and it had a caramel like consistency. I had the iced version too and they serve it in a cup, and get a glass full of ice. They also have the condensed milk on the cup so you don't get that lumpy coffee later on. It was really good, I wanted another one but it'll probably make me stay awake til the next day. For caffeine lovers, I would highly suggest the stronger brew. Their version of the Fresh Spring Roll was lovely. It was plump, wrapped in rice paper, had fresh ingredients and a gnarly peanut sauce on the side. They also have a Vegetarian version for those who would want it more healthy, or perhaps like me who wants to shy away from shrimp. 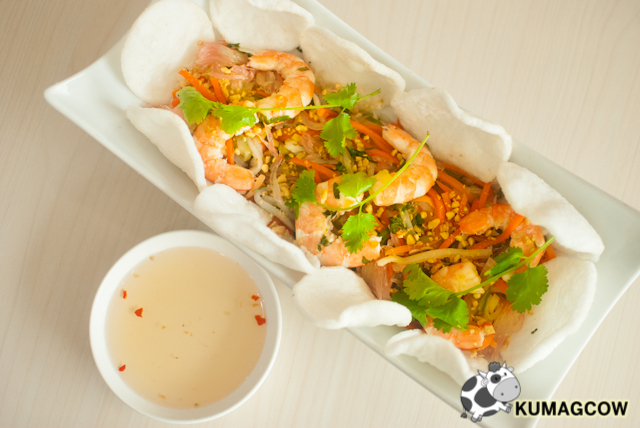 Speaking of shrimp love, this is their Prawn Pomelo Salad. They use the freshest ingredients and attest they probably go to market every day to make sure they only get it, otherwise they won't serve it at all. This dish is like a party in the mouth. The crunchy, the savory, the peanuts and tangy notes from the dressing just meld together. I would love to have this a little spicy too. This one's called Prawn Sugarcane. As the name suggests, it's like ground prawn meat spun around a sugarcane stick. It's both savory and sweet. It's a great appetizer, but who doesn't want piping hot white rice right? 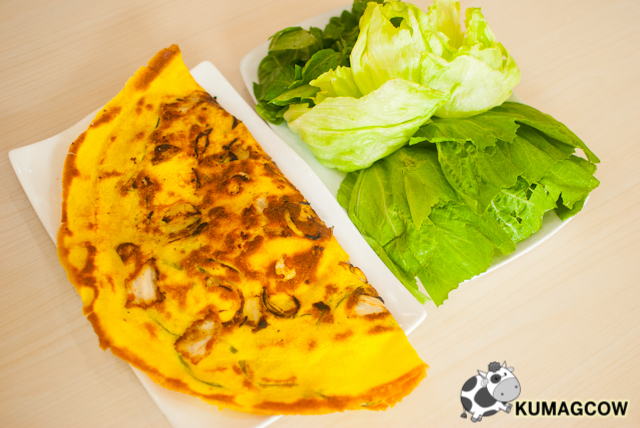 For those who would love something festive, this one's called the Vietnamese Pancake. I've seen this in the streets of Hanoi and it's like a representation of harvest, of spring, the freshest ingredients. The way to eat this "legit" is to wrap the actual pancake with the greens. I think they've got shrimp, ground pork, scallions and eggs on that pan cake. 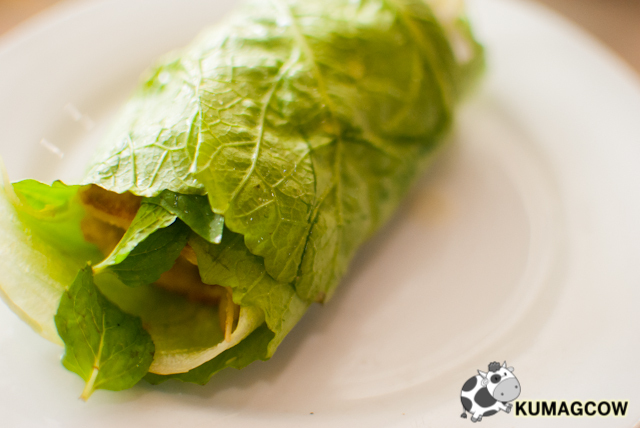 The savory pancake slices, wrapped in the sprigs of mint, mustard and iceberg lettuce. Then you have to dip it in a mixed sweet vinegar. Don't fret for those who are new to this, because the service of making the wraps is included. They're going to prepare it for you so you don't have to worry. Now this one is not on the menu, so ask nicely if they could serve it to you. 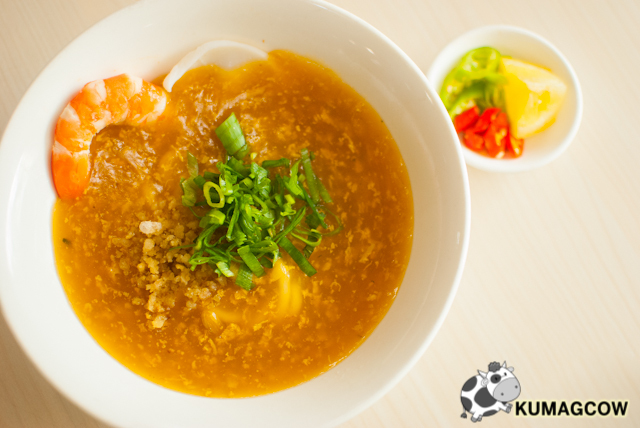 It's called Crab and Seafood Soup, and they use mud crabs or soft shell crabs for the broth. We smelled intense sea flavors, and the broth was a little thick. It was comforting and it would fit nicely during those rainy afternoons if you want something that would make you warm and fuzzy inside. This one is called Beef Combination Noodle Soup. You basically have a broth made from 16 herbs and spices (we saw it but I don't know half of the spices used as it's a secret), plus beef shoulder slices, New Zealand rib eye, beef balls and tripe. It's also got a serving of vegetables on the side and high grade Hoisin and hot sauce. The broth was clear, a notch away from the usual murky broth that most restaurants do here because they only do it fresh and keep the flavor profile simple and clean. Those over boiled counterparts probably have residue in them, they prefer a light, not so intense, just so you could taste the herbs and spices they put in them. I like this because it's not oily or too over powering. It's done right. My mom would love this. 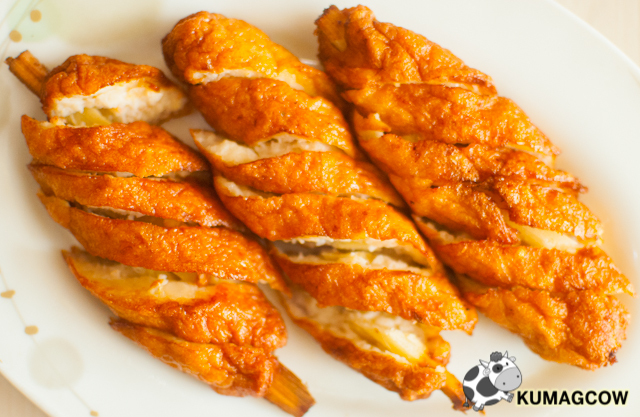 It's called Stuffed Chicken Wings. It contains seasoned ground pork, some veggies and a crispy coating that I love. It's a little eggy and I love that kind. This is one of their entrees and you've got lots of choices. For those who might think the bowls of Pho might be too big, you can always have the Dry Noodles. This one is the Barbecue Pork Noodle. 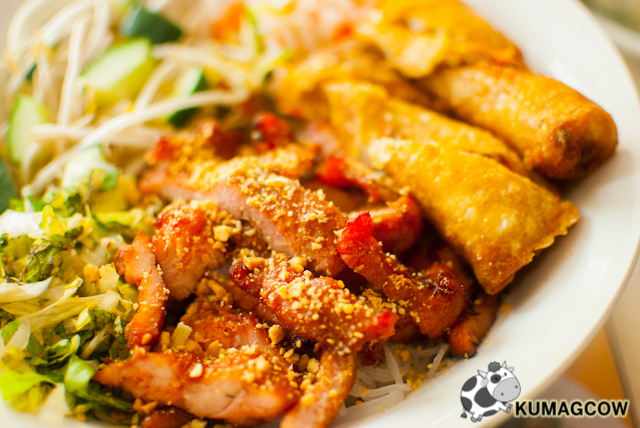 It's got that tasty barbecued pork, fresh and pickled veggies and your choice of noodle. I would probably have had the flat ones but any rice based noodle is fine with me. 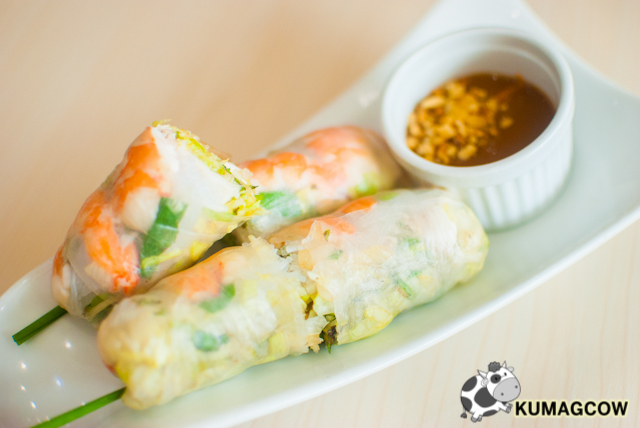 This is served with their very own Tra Vinh special dressing and a vegetarian fried spring roll. You MUST mix this thoroughly so you get every bit accounted for. Again, this is like a party in your mouth and I love it. I liked this too. 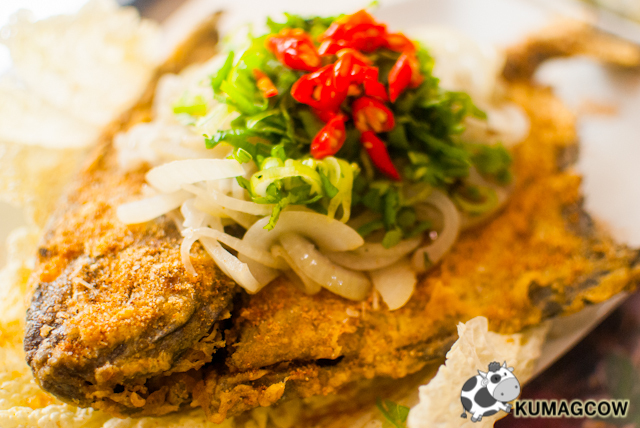 This is their Fried Salt and Pepper Fish. It's fried crispy on the outside, still soft and meaty on the inside. As mentioned earlier they go to the market every day in search for fish this good. The onions and veggies on top can be used together with the fish. I could have this on it's own when I'm on a diet. It's a good thing to have though with your whole family. 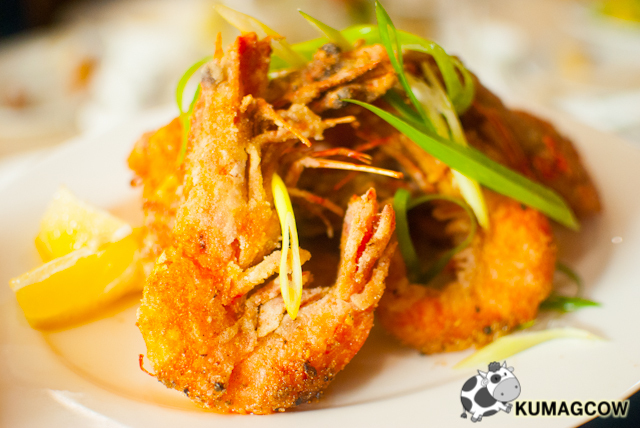 For those who still crave for more shrimp dishes, this one was consumed fast. It's called Vietnamese Salt and Pepper Prawns. If my hunch is right, they've probably got the same kind of breading as with the fish earlier. This however made it crispy that you can eat it all. I would probably do that and just leave the tail on the plate. 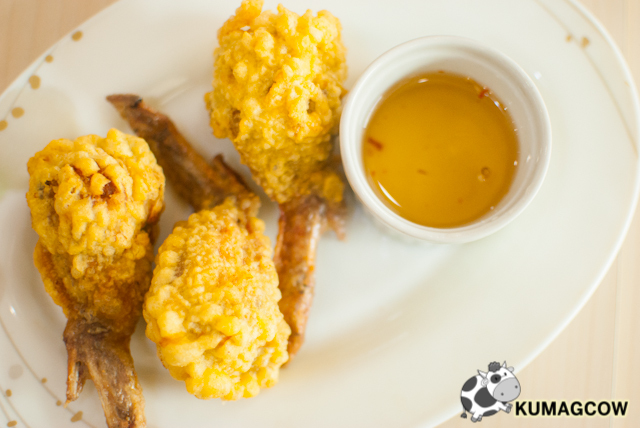 This would be good for kids who want fried stuff too. They really did save the best for last. 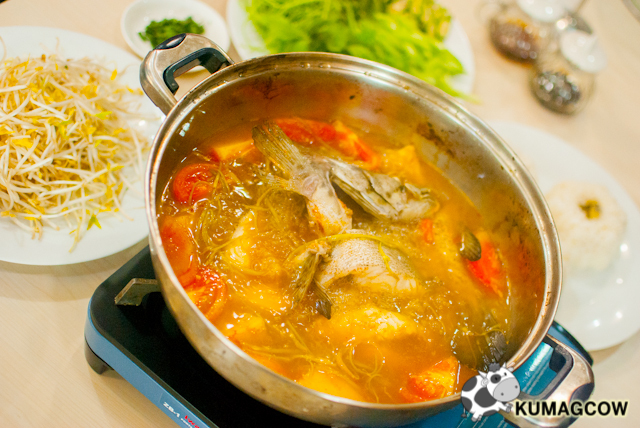 This is the Special Vietnamese Fish Soup. I've never had anything like this at all. I thought it was going to be a little close to Tom Yum soup but it really wasn't. It tasted like a fish in a very tangy and fruity broth. We couldn't even feel any fishiness at all. I tried it with and without chili, and boy it was so good with it! Again, it is PERFECT with CHILI. They also use Chinese Kangkong so you're getting your money's worth. I like how the fruity notes end with hot stings, you MUST experience that. I would suggest you bring someone with you to have this with rice. This is a LOT but I'd have this for a family meal anytime! For dessert, we had this one which is not on the menu. 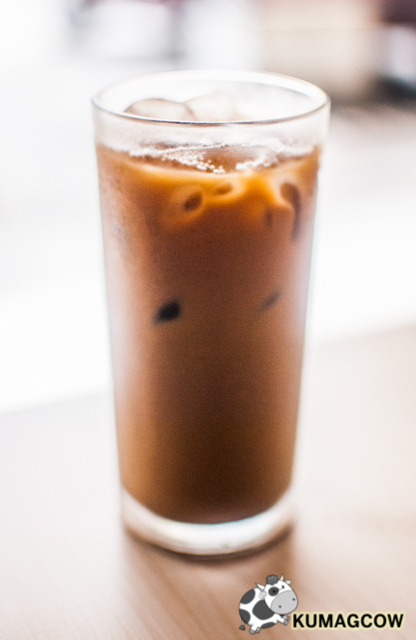 It's called Vietnamese Coffee Jelly. 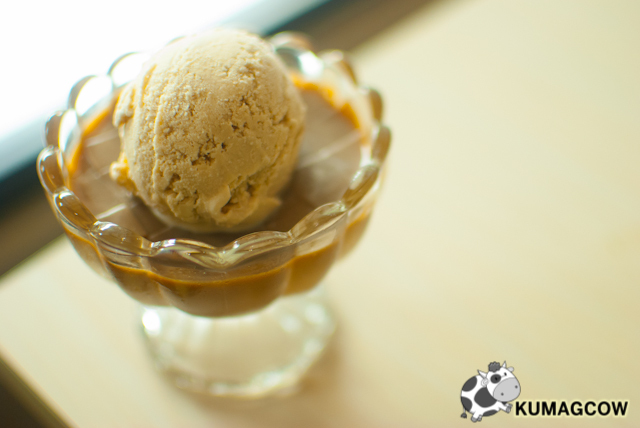 It's topped with a scoop of ice cream and if you love coffee, this is the perfect way to end your meal. Now I love this one they call Special Mixed Beans. 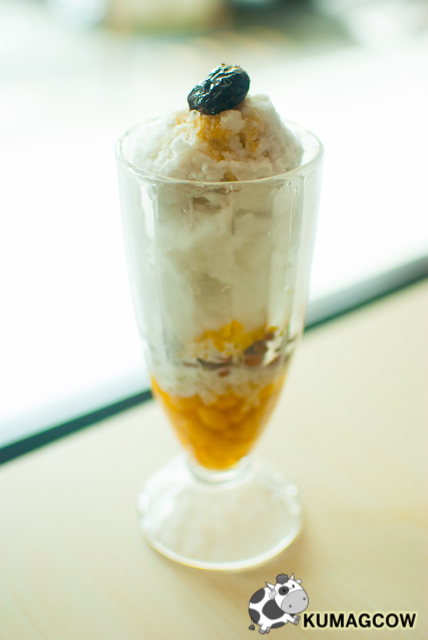 It's basically much like our local halo halo or iced cacang of Malaysia, but it's got it's own charm. They use coconut milk for this so it's totally different. They also have garbanzo beans in the mix (which I love) and some black beans, brown ones and white ones. It's earthy and has got just the right amount of sweetness. I love this a lot! Plus, it's not that expensive either. 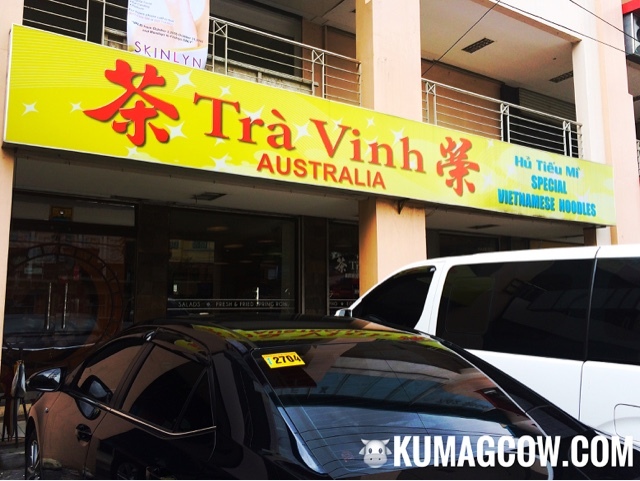 For those who want something new to eat or if you're really adventurous about what you want to eat, come and experience Tra Vinh Authentic Vietnamese Restaurant in Quezon City. You can view the map here so you won't get lost. In a nutshell, they're one of the most affordable restaurants in the district and according to the owner "We're not really known yet and we're here in this location for a trial basis and see if the Chinese community in Quezon City would accept the food we serve, and we feel it is. It's in our plans to open more branches in the next few years, probably from here going south." so if you're a little too far from the current location, be ready as they are planing to expand. For those who want real authentic Vietnamese food now, just head on to NS Amoranto street and find Tra Vinh Authentic Vietnamese Restaurant. It's very near Mc Donalds, right by the PARES joint. You can also just search the name of the restaurant on Google Maps and it'll take you there. Trust me on the Special Vietnamese Fish Soup.